Your best clients are someone else’s prospects. It’s an unsettling thought, but it’s important to consider and may help you concentrate on doing things that will enable even greater retention and expansion of client relationships. 1) What is the unique value of your offering? 2) How many different services are you providing? 3) How are you leveraging technology to make relationships stickier? The first question to consider is: What is the real value of your offering? Is it more focused on comprehensive wealth planning or investment management? The more investment-focused your firm, the more your competition will offer to do a “second opinion” and drive the focus toward performance and price. Are your clients aware of the value you provide? Do they know how to articulate it? In ways both subtle and overt, there are regular opportunities to convey a planning-based approach and the value it provides. For instance, you can use meeting agendas that prioritize goals and wealth planning issues so they are discussed before investment-oriented topics. Frame investment performance in relation to clients’ goals so that that those goals become the true benchmark rather than market indices. This conveys a message about what’s most central to your client relationship. It’s also a good idea to remind clients of the various ways in which you helped them. Whether it is more intangible value such as coordinating and simplifying their financial lives or more quantifiable in terms of taxes saved or returns increased, articulating these things periodically can reinforce value that is easily forgotten in a client’s eyes. We’ve probably all seen statistics, particularly from larger financial institutions like banks, about how client retention rates increase over the long term as their use of different services increases. Even if you don’t like the idea of “cross-selling” because of its product-oriented implications, the underlying concept is still applicable. 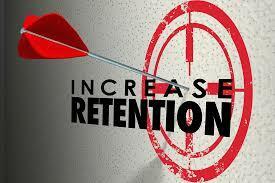 As the number of products and services used by a client increases, their loyalty to the organization increases. An advisor selling against you is going to try to identify gaps in your clients’ plans. By proactively involving (internal and/or external) partners and utilizing their specialized expertise, you can identify those gaps, find needs, and spot opportunities. Are you leveraging technology to make relationships stickier and your business more efficient? We hear a lot about different barriers to entry; what about the barriers to exit? One of the benefits of a system like eMoney is that, when it is fully utilized as a client portal, it can be a great client retention tool. We are all naturally resistant to change, and clients are certainly no different. It is typically hard for a client to change advisors, but even more difficult if all of their accounts (bank accounts, investment accounts, insurance policies, and mortgages) are linked into one system which updates on a daily basis and feeds into their financial plan so that it is truly a “living document”. The odds of a client leaving decrease even further if all of their important documents – tax returns, estate documents, account statements, even passports – are all aggregated and electronically available in one centralized location in the same system. Clients who have their entire financial lives at their finger-tips, accessible at any time and connected to their goals through a comprehensive financial planning program will be much more likely to withstand periods of disappointing investment results. As advisors, we are all going to experience challenging periods of time with client relationships: investments underperform, mistakes are made, and service may lag on occasions. The question is what are you doing to raise the barriers to exit? Are you creating so much value that it makes it much more difficult to leave? Addressing the issues above will help you increase loyalty and improve the odds that you have clients for life. It will ensure the futility of any competitors’ attempts to poke holes in the service provided to your clients.